We're not really sure what to make of Magellan's latest sports watch - the Magellan Echo Fit - which has just been announced in Las Vegas at CES. 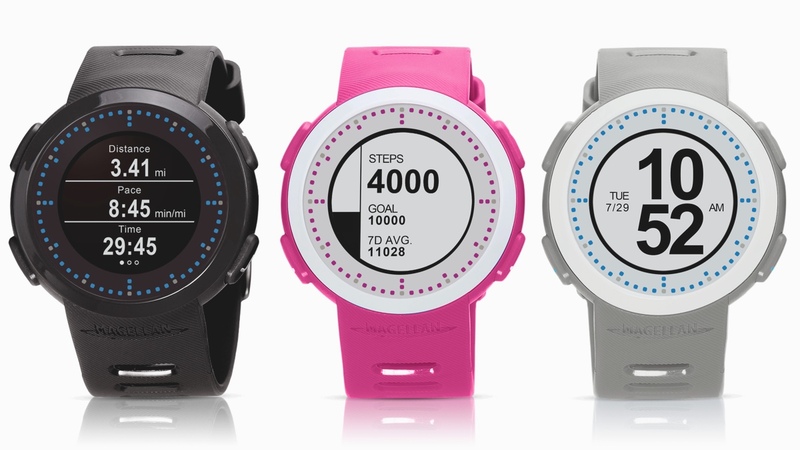 The Echo Fit is an activity tracking wearable with an eight month battery life from a regular coin battery. And while its makers claim it is capable of tracking your steps, distance traveled, sleep and calories burned, it seems that it's essentially just a viewing screen for your favourite smartphone fitness apps. Magellan has teamed up with a whole host of popular apps such as, deep breath: AllTrails, Golf Pad, iMobileIntervals, iSmoothRun Pro, Jog Note, MapMyFitness, MapMyHike, MapMyRide, MapMyRun, MayMyWalk, Men’s Health Personal Fitness Trainer, RunKeeper, Strava, Wahoo Fitness, and WeiBike. The idea is that the data being tracked by these apps is streamed live to the Echo Fit, so you don't need to keep checking your smartphone's display. The Echo Fit will also relay smartphone notifications and allow you to control your phone's music. “As the latest addition to our Echo Series, the Echo Fit adds activity and sleep-tracking capabilities while continuing to solve the biggest problem of participating in a sport or exercise with a smartphone – conveniently viewing and controlling sports apps without interrupting the game or workout,” said Stig Pedersen, Magellan associate vice president of product management. It's certainly an interesting approach to keeping costs down. At $129.99, it's not a bad price for a stripped down smartwatch with some unique fitness app features. It'll be available in black, blue, pink and grey and is due to go on sale immediately in the US.